Good trip and time well spent. Instructor Alvin was helpful and gave us time to relax and not paddling away all the time, which can get tiring but is really fun. We were asked to perform some floating test and had to get the entire body wet. It was not mentioned anywhere in the introductions so it caught us by surprise but it was OK, but some people may not be suitably dressed for that. 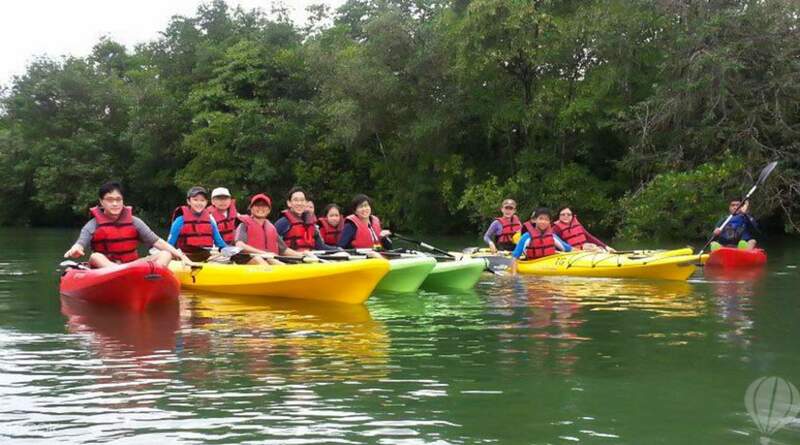 Kayak Singapore's naturally fascinating waters with the company of passionate, good-humored guides, some of whom are Ubin natives with an intimate knowledge of the locale. Learn about the heritage of Palau Ubin as you paddle in pairs, enter the mangroves and glimpse kingfishers, eagles, hornbills and herons. You might also be lucky to sight an otter family or pink dolphin pod! Alternatively, an 8.27km journey through to the middle of the island will bestow you with scenic views of wetlands and waterways. The area is a beautiful corner of Singaporean wilderness that's rarely seen due to its relatively inaccessibility, thus making this a truly one-of-a-kind experience for the curious and adventurous. The Nature Kayaking product that Klook offers is very nice. After successful purchase, I received an email from the tour guide on the day before the kayaking which gave me the directions on me how to get to Ubin and a list of items that I have to bring (water, sun protection, attire etc). The kayaking was fun as well and the staff took great care of us. Recommended ! The Nature Kayaking product that Klook offers is very nice. After successful purchase, I received an email from the tour guide on the day before the kayaking which gave me the directions on me how to get to Ubin and a list of items that I have to bring (water, sun protection, attire etc). The kayaking was fun as well and the staff took great care of us. Recommended ! This was a fantastic experience for me, my wife and our 7 year old daughter. We Loved it ! And highly recommend this to families with good and meaningful outdoor activities in mind. Our instructor ; Kenneth, was an extremely professional guide and trainer. Never knew so much about our Singapore Pulau Ubin mangroves and wildlife. Thank you! This was a fantastic experience for me, my wife and our 7 year old daughter. We Loved it ! And highly recommend this to families with good and meaningful outdoor activities in mind. Our instructor ; Kenneth, was an extremely professional guide and trainer. Never knew so much about our Singapore Pulau Ubin mangroves and wildlife. Thank you! The trip was very informative, fun and fulfilling! The guide is an animal enthusiast and so he introduced us to the various animals in the mangrove habitat. We even got cute little hermit crabs to crawl on our hands. Definitely a must-try, if you have not been kayaking at the sea! The trip was very informative, fun and fulfilling! The guide is an animal enthusiast and so he introduced us to the various animals in the mangrove habitat. We even got cute little hermit crabs to crawl on our hands. Definitely a must-try, if you have not been kayaking at the sea! Our guide Nadia was very good and patient to explain and correct our intial mistakes in turning kayak. Enjoyed and experienced the mangroove peace. One of must activities to be experienced if you are in and around singapore. Our guide Nadia was very good and patient to explain and correct our intial mistakes in turning kayak. Enjoyed and experienced the mangroove peace. One of must activities to be experienced if you are in and around singapore. After some orientation of my equipment and practices, we were off to the waters in our excitement! Clear briefing and comfortable walk through of the stuffs we needed.I was off paddling in the calm waters of Pulau Ubin coastlines and into the mangroves. Nice peaceful getaway.. Something I have not seen while kayaking before. We saw some birds and monitors and crabs and mudskippers of coz and many more.. Nice Views.. Endless exploration and I like the flexibility of the guides. Paddling yet relaxing! After some orientation of my equipment and practices, we were off to the waters in our excitement! Clear briefing and comfortable walk through of the stuffs we needed.I was off paddling in the calm waters of Pulau Ubin coastlines and into the mangroves. Nice peaceful getaway.. Something I have not seen while kayaking before. We saw some birds and monitors and crabs and mudskippers of coz and many more.. Nice Views.. Endless exploration and I like the flexibility of the guides. Paddling yet relaxing! The instructors took time to talk about the mangroves and why they are of a certain way. 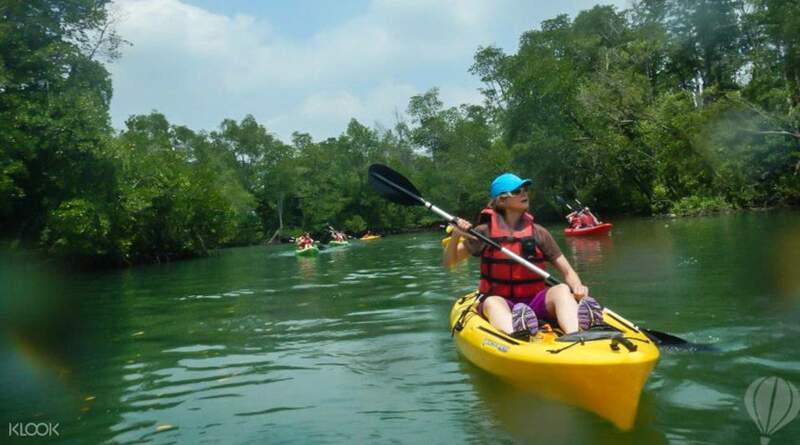 I had an enjoyable time kayaking in Ubin and it was a real treat to be able to go up close into the mangroves. Thank you so much for a wonderful experience! The instructors took time to talk about the mangroves and why they are of a certain way. I had an enjoyable time kayaking in Ubin and it was a real treat to be able to go up close into the mangroves. Thank you so much for a wonderful experience! The experience itself is wonderful. It is well organized - with a place to lock up your stuff and shower - and very fun. 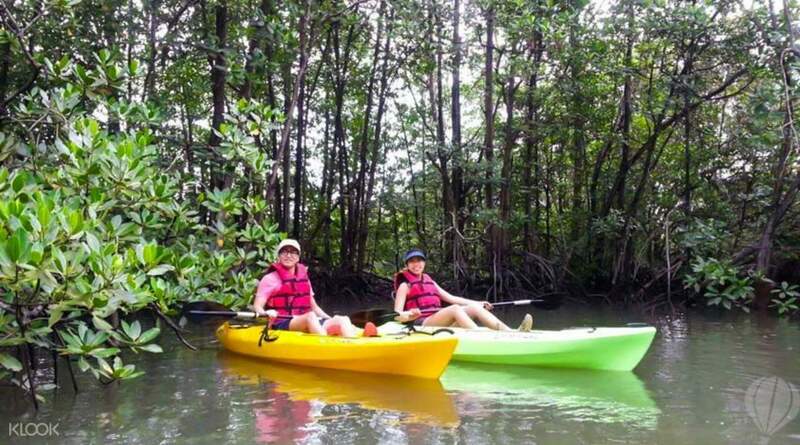 The staff are amazing and knowledgeable... they help you learn to kayak (if you are a newbie) and love sharing what they know about the mangroves with you. It makes the overall experience unforgettable. The experience itself is wonderful. It is well organized - with a place to lock up your stuff and shower - and very fun. The staff are amazing and knowledgeable... they help you learn to kayak (if you are a newbie) and love sharing what they know about the mangroves with you. It makes the overall experience unforgettable. I wasn't too sure what to expect from the half-day kayaking trip around Pulau Ubin but it turned out to be a fantastic experience! The guide, Rongxin, was very professional. He was knowledgeable and I felt safe throughout the trip. What I like most about the trip was that we managed to get up close to nature and see a different side of Singapore that I've never known. I didn't feel totally tired out after the expedition and Secsea has good amenities for me to freshen up after the trip. Although I didn't know the other members of the expedition, I felt the nature of the trip and the guide's ability to bring the whole group together made the kayaking fun. I definitely recommend this trip to couples, groups of friends and families who want to enjoy a sporting event together in the midst of nature. I wasn't too sure what to expect from the half-day kayaking trip around Pulau Ubin but it turned out to be a fantastic experience! The guide, Rongxin, was very professional. He was knowledgeable and I felt safe throughout the trip. What I like most about the trip was that we managed to get up close to nature and see a different side of Singapore that I've never known. I didn't feel totally tired out after the expedition and Secsea has good amenities for me to freshen up after the trip. Although I didn't know the other members of the expedition, I felt the nature of the trip and the guide's ability to bring the whole group together made the kayaking fun. I definitely recommend this trip to couples, groups of friends and families who want to enjoy a sporting event together in the midst of nature. Briefings on the kayaks and safety was well given by this very professional instructor. We were given some times to train on how to handle the paddles before we get into our kayaks. The initial stage, everyone was unsure how to control the kayaks and after a bit more training by the instructor, the kayaks became much easier to control and it's not as scary and difficult as i thought it will be. Went through the mangroves and manage to see some mud skippers and hermit crabs. Heard that dolphins were spotted near ubin but didnt had the chance to see them. Will love to go there again to try my luck! Overall it was an excellence trip and it was sure fun! Go try this and have a totally different experience from just going shopping, drinking or movie in singapore. 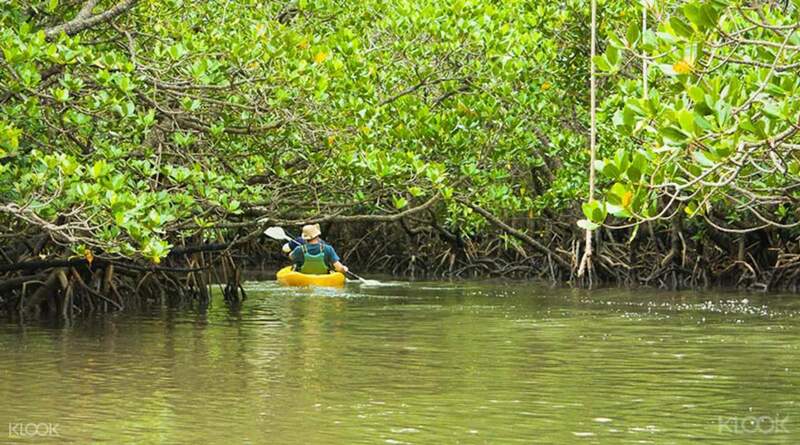 Go see the mangrove upclose and at the same time exercise your arms! Briefings on the kayaks and safety was well given by this very professional instructor. We were given some times to train on how to handle the paddles before we get into our kayaks. The initial stage, everyone was unsure how to control the kayaks and after a bit more training by the instructor, the kayaks became much easier to control and it's not as scary and difficult as i thought it will be. Went through the mangroves and manage to see some mud skippers and hermit crabs. Heard that dolphins were spotted near ubin but didnt had the chance to see them. Will love to go there again to try my luck! Overall it was an excellence trip and it was sure fun! Go try this and have a totally different experience from just going shopping, drinking or movie in singapore. Go see the mangrove upclose and at the same time exercise your arms!